Enjoy a leisurely cruise as you take in the world-famous skyline of the Windy City from the water. Leave the hustle and bustle behind! Explore Chicago’s shores with a leisurely trip around Lake Michigan. 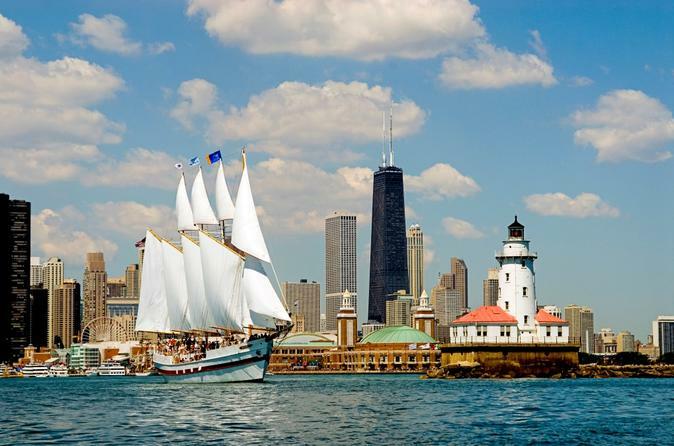 Take in the world-famous skyline, enjoy spectacular views, and discover the Windy City from the water… all of this from the decks of the famous Tall Ship Windy. Drink in some of the best views of the Chicago skyline when you venture on this 75-minute sailing tour of Lake Michigan. Be rewarded with incredible scenery and photo opportunities of the Windy City, and enjoy your time on the water — the third-largest of the Great Lakes, Lake Michigan is itself a natural wonder.